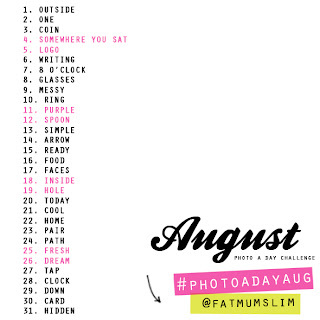 Unlike some other #photoaday challenges, with @fatmumslim's version, you get to see the whole month upfront. Straight away, you can see all the daily prompts and it's give you a head start and a bit of time to think / plan. Spontaneity was never my strong point. Mental note to add that to my "areas for development" list!